Did you know that all pain is really felt in the brain and is your body's way of telling you there is a problem that needs help? In fact I'll go so far as to say if you don't take into account the brain's involvement in your knee pain, you won't be able to get rid of your pain. Let me explain. 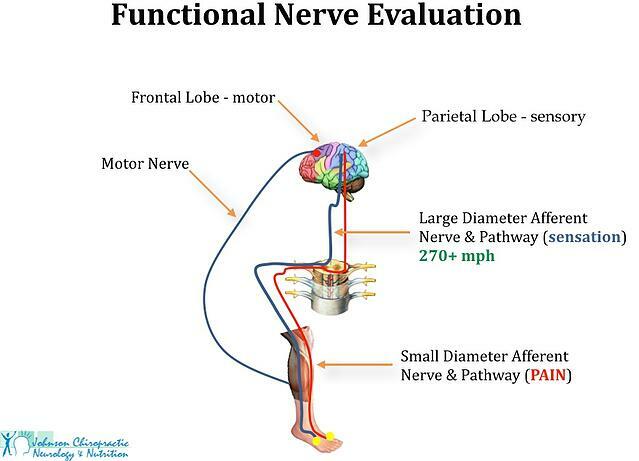 We have three types of nerves that are important to our discussion and for sake of not getting too technical, I will call them normal sensation nerves, pain nerves and muscle movement nerves. The way we are "wired" neurologically, our pain nerves are turned off as long as the normal sensation nerves are sending signals about normal sensations to our brain. Normal sensations can be described as light touch, heat, cold, joint motion, muscle tension, vibration, etc. ; basically any sensation that is not painful. Of course pain nerves give us the sensation of sharp pain, dull pain, burning pain, aching pain, bone pain, itchy pain, etc. If you have chronic knee pain, you know about all the kinds of pain there can be! You would do just about anything to get rid of the pain - but you don't want to have surgery. You've seen too many people have a bad outcome and you don't want that poor surgical outcome for yourself! When our pain nerves are active our muscle movement nerves are affected and we have abnormal motion; we limp or have an altered way of moving in an attempt to have less pain. When we are in pain, the muscle movement nerves will cause certain muscles to be weak and other muscles to have too much tension. The abnormal tension in muscles due to the pain nerves being activated create a viscious cycle that keeps us in pain. The cycle must be broken for us to get any meaningful help for our chronic knee pain. This same mechanism is similar for any other painful condition such as shoulder pain, plantar fasciitis, carpal tunnel syndrome, tennis elbow, shin splints, etc. A joint function assessment to determine if the knee joint has lost its ability to have normal end range of motion called joint play. Evaluation of imaging (either x-ray, CT or MRI) to visualize the extent and nature of any internal knee damage. Once I have the information from the various assessments, I can then determine the proper course of action for the chronic knee pain sufferer. *Trigenics® Myoneural Special Operation* for the knee. Trigenics® is so effective because it combines three treatment techniques together simultaneously to get a cumulative effect that you would not get performing one at a time. It uses resisted exercise neurology to help reboot your brain to body communication, along with concentrative biofeedback breathing to allow the body to accept the changes and lastly it uses muscle sensor manipulation which opens the door for the rebooting process to occur. The three together combine to create a “software update”. Physical, chemical and emotional stresses can corrupt our software and create imbalances in the way the brain talks to the body. While most people work on the body, we work on the brain for results that are both immediate and sustainable. When a joint is not free to move, the muscles that move it are not free to move. Muscles cannot be restored to normal if the joint which they move is not free to move. Normal muscle function is dependent on normal joint movement. Impaired muscle function perpetuates and may cause deterioration in abnormal joints. "The primary fault usually lies in synovial joints which make up joint play. And if the primary fault can be corrected, the secondary abnormalities resulting from it can usually be readily corrected too." Hopefully now you can understand why I am so excited about the process we use to help chronic knee pain patients achieve resolution to their knee pain without resorting to surgery. Of course, there are patients who have accumulated enough knee damage that their only recourse is surgery, but millions of people can benefit from this research validated and clinically proven method. Don't keep this information a secret. Tell your friends and family that there is a solid non-surgical answer for chronic knee pain. Send them to www.ChronicKneePainHelp.com today. To see video testimonials check out this page.